Summer Kickoff Networking - PATIO TIME! Join the National Crowdfunding & Fintech Association of Canada, Pegasus Fintech Inc., Fintech Growth Syndicate, Nikola Tesla Unite Ltd., Token Funder, Gowling WLG, Equibit Group, Mavennet, partners, affiliates and the Fintech & Funding community in the heart of upscale Yorkville (neighborhood) on the InterContinental's PATIO and Proof Bar for a night of revelry and prime networking mixer. Interested in disrupting the finance industry, raising capital or participating in Canada’s growing alternative finance and fintech sectors? Here's a perfect opportunity to connect with emerging fintech startups (stealth mode) and experts, strategize with partners, pitch investors and mingle with Toronto’s burgeoning fintech, blockchain, AI and crowdfinance ecosystem. LIMITED TICKETS - GET'M BEFORE THEY'RE GONE! $50 Late - Last Chance SOLD OUT! Congrats to the following multiple winners of the tickets! Draw will take place July 4th at 6pm at Yonge and Dundas Niko race car driver/showcase event. Innovators and investors interested in financial innovation, networking and collaborating with startups, investors, angels, early stage-focused VC's and industry experts and developers in alternative finance, crowdfunding, fintech, payments, cryptocurrency, blockchain, ICOs / STOs, Artificial Intelligence-driven investing and other financial innovation sectors. The National Crowdfunding & Fintech Association of Canada (NCFA Canada) is a non-profit actively engaged with cryptocurrency, blockchain, crowdfunding, alternative finance, fintech, P2P, ICO/STO, and online investing stakeholders globally. 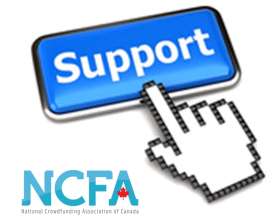 NCFA Canada provides education, research, industry stewardship, services, and networking opportunities to thousands of members and subscribers and works closely with industry, government, academia, community and eco-system partners and affiliates to create a strong and vibrant crowdfunding and fintech industry. 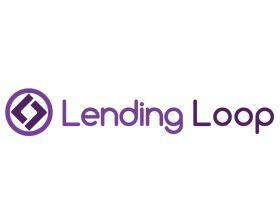 Join Canada's Fintech & Funding Community today FREE, or become a valued contributing member and get perks. 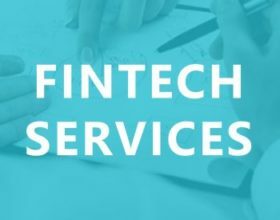 Pegasus Fintech, Inc.focuses on supporting innovative solutions in the Financial Services, Technology, Blockchain and Cryptocurrency communities. Pegasus has developed a full-service process for assisting organizations who want to do an Initial Coin Offering (ICO). Together with our team of highly skilled industry professionals and partners we create, with our clients, the necessary business, legal, accounting, technology development, capital and funding strategies, whitepapers, roadmaps, marketing and sales processes to deploy successful and compliant ICOs. Pegasus also has created an integrated network platform, called the Pegasus Matrix, supporting interactivity through Pegasus supported ICO use cases. Pegasus is a partner of Polymath and is the first North American Sponsor Firm of the Gibraltar Blockchain Exchange (GBX). Gowling WLG is an international law firm created by the combination of Gowlings, a leading Canadian law firm, and Wragge Lawrence Graham & Co (WLG), a leading UK-based international law firm. With more than 1,400 legal professionals in 19 cities across Canada, the UK, Continental Europe, the Middle East and Asia, Gowling WLG provides clients with top-tier legal advice at home and abroad in a range of areas. 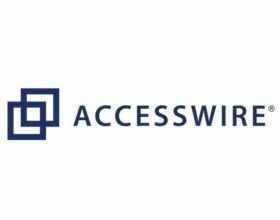 Our clients have access to in-depth expertise and experience in key global sectors, including advanced manufacturing, energy, financial services, infrastructure, life sciences, natural resources, real estate and tech. We see the world through our clients’ eyes, and collaborate across countries, offices, service areas and sectors to help them succeed – no matter how challenging the circumstances. Our culture is, above all, about people and teams, based on our belief in the power of relationships to deliver tangible business results. Equibit Group is the company that developed the Equibit coin (EQB) and an initial product suite for application of the open-source Equibit network. This decentralized application of blockchain technology enables a worldwide, peer-to-peer equity and debt marketplace. In much the same way that Bitcoin applied digital technology to currency and payments, Equibit eliminates the need for expensive infrastructure and third-party facilitation from depositories or transfer agents. The Equibit network connects issuers with investors directly. Registration, transfer, settlement and investor relations can all be managed securely and digitally within a decentralized environment. With Equibit Group, capital markets meet the blockchain. TokenFunder is a Canadian company building a blockchain-powered venture funding platform and investment market. Our mission is to allow every investor equal access to invest in the best companies. We are a pioneer, the first company to work with the Ontario Securities Commission LaunchPad to launch Canada's first security token offering on the Ethereum public blockchain. Mavennet provides private enterprise blockchain solutions that enable high transaction throughput and interoperability between multiple blockchain platforms. These solutions are powered by Mavennet's core technology stack, Aion for Enterprise, built using foundational components of the public Aion network.